After countless ideas, discussions, and hours of work, our team was ready for the big weekend. We finished a marketing class in Vancouver, and then we were off to San Francisco to pitch our business idea. 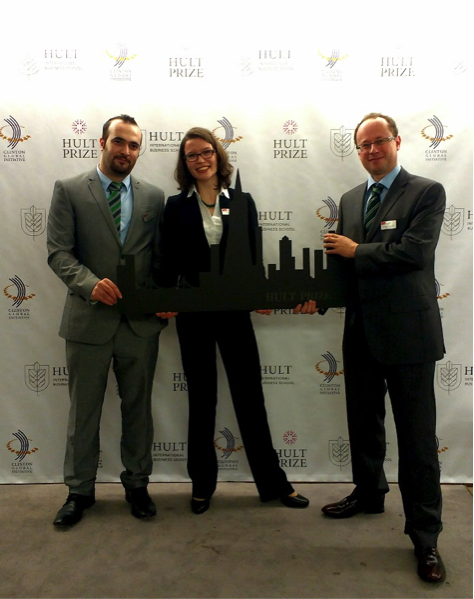 We were competing with 62 other teams from around the world in the Hult Prize, the largest student competition created to launch the “most compelling social business ideas” and to “solve the world’s toughest challenges”. 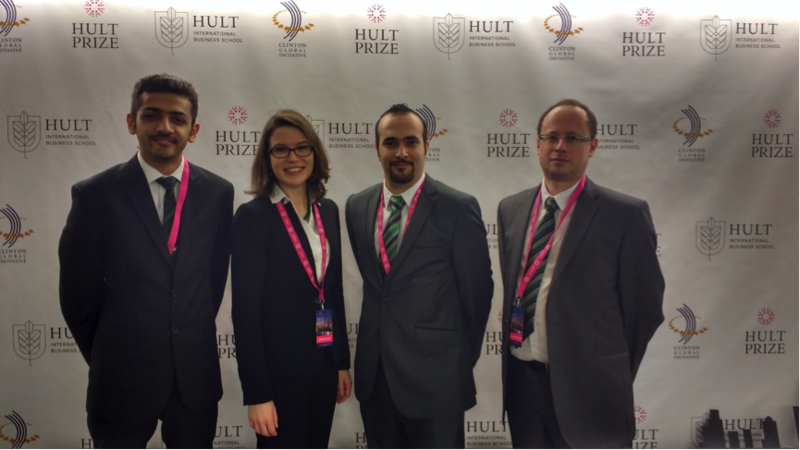 The night before our pitch, we joined fellow competitors – (from Egypt, Uganda, Australia, Costa Rica, and Tunisia, just to name a few!) – at an information session that emphasized the importance of social enterprises as a key for solving the world’s most pressing problems. Industry leaders also elucidated the ambitious goal of the 2016 competition: doubling the income of 10 million people living in crowded urban spaces by 2022. This was the most diverse group of students that I’ve ever seen, and I was thrilled to be part of the crowd. Before pitching our business plan on Sunday, we were part of a peer-feedback panel. This allowed us to watch many international teams present their ideas, and to provide the judges with our notes and feedback about the ideas that had been pitched. Our own idea was to create an SMS-internet based platform that connects semi-skilled workers living in crowded areas with potential customers. Bridging the gaps of trust and training by creating local systems that would provide in-person verification and empowering training programs. We were thrilled with this unique experience and learning platform. Not only did we undertake extensive research, analysis, and communications with people living in crowded urban spaces (Pakistan, India, South Africa & Kenya), but also we were able to meet with wonderful students from all over the world, who shared our passion and enthusiasm to empower people and positively impact their lives. We would like to thank the Hult Prize Foundation and the Hult School of Business in San Francisco for their magnanimous hospitality, and we really appreciated the support that we received from the faculty members at the Beedie School of Business. In particular, we are grateful to have worked with Dr. Stephanie Bertels, sustainability expert and SFU professor, who donated her time as a coach and advisor throughout the entire process. We also like to thank Stephanie Reimer for her great support throughout the competition. Ahmed Sallaam is an MBA candidate at Simon Fraser University’s Beedie School of Business. He is currently an active member of Segal Case Club, and a Beedie Student Ambassador. Ahmed holds an undergraduate degree in Economics, and a master degree in financial management, he has experience in non-for-profits, sales, and marketing. He is passionate about technology, social enterprises and empowering people. Contact Ahmed on?LinkedIn, through?email, or on?Twitter.